When Crestron leaders started a continuing education program for its certified technicians in 2001 and invited the 30 or so people to what’s become Crestron Masters, they had no idea they’d become the industry standard with 900 attendees—and hoping for more. But two long-time participants in Crestron Masters say they block off the three days on their calendars every year and they’d love to see other manufacturers in the AV industry do something similar, even if it’s starts off as modestly as Crestron did with its event. “Everyone walks away with some energy about Crestron and about some of the new products,” says Steve Greenblatt, founder of Control Concepts. He’s attended almost every Crestron Masters event, including the 2018 edition at Mohegan Sun Resort and Casino in Connecticut. “That builds better relationships and makes [Crestron officials] a lot more approachable. You feel a sense of importance being part of the process like this. Other manufacturers are taking note of what Crestron’s doing with this event and they see there’s a lot of value to it,” he says. This year, Crestron Masters attendees crowded into 102 sessions of 41 different educational courses and 13 different classrooms including six fully built-out labs with hundreds of processors and displays. The key theme of the event this year was the transition from on-premises-based AV technology to cloud-based, built around Crestron’s new XiO Cloud offering. Several sessions reviewed the obstacles integrators will face (and how to overcome those obstacles) when converting clients to cloud-based technology. 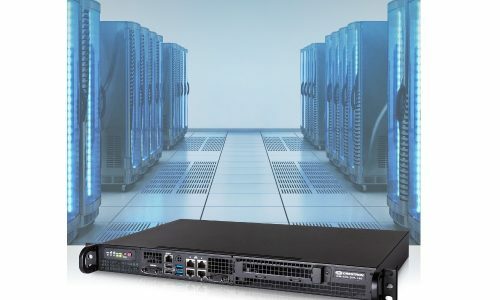 Many end users are reticent to have the AV integrator even touch their network, with fears of cybersecurity threats pervasive among comments from attendees. “Back when we created it, the event was one day with two classrooms and 25 guys,” says Rich Sasson, global director of technical services. But the Rockleigh, N.J.-based company quickly realized education was a key component to its integrators’ success, and therefore it needed to develop a regular training and certification event. “Our technology refreshes completely every five years. We are constantly introducing a plethora of new products,” says Sasson. “For the longest time, we did not require integrators to maintain their education. I realized in 2015 that had to end. Crestron created several Masters levels — Silver, Gold, Platinum and Diamond – each with a minimum level of required training and each mandating the integrator passes a certification exam. For example, to earn Silver you must have attended the Crestron Masters program three times and have passed an exam. Sasson envisions Masters growing to 2,000-plus attendees. Dave Hatz, application development lead for AVI Systems, has gone from a Crestron Masters attendee in the early days of the event to an instructor this year now that he’s earned Diamond certification, but that doesn’t mean he can coast through the event. “The technology changes too much; we have to keep our industry sharp. We need to keep our brightest integrators at the highest level,” says Rich Sasson. Hatz was assigned topics for his presentations on the residential side, even though he doesn’t work in that space as a way to “stretch your legs,” he says. So, while he doesn’t have to take any more certification tests as a Diamond dealer, that doesn’t mean he’s done learning. “It’s a nice way of sharing my knowledge with others,” says Hatz. “Half of the value of the event is the content itself, but the rest is the social interactions and discussions you have around the tables.” Hatz got his job at AVI through a connection he made at a previous Crestron Masters event. Why Don’t More Manufacturers Do This? AMX hosts a developer conference every summer and it’s an event both Greenblatt and Hatz have attended regularly, but it doesn’t compare to the size and scale of Crestron Masters. Both men say that’s a void that can—and should—be filled by other manufacturers. The addition of the design track this year was welcomed, says Greenblatt. He also noticed talk about Creston loosening some of its proprietary restrictions on some products, which would help programmers when they’re working on networks with products from multiple manufacturers. And, while Crestron Masters brings together programmers who work for myriad companies, Hatz never feels like he has to be territorial with his latest conquests and doesn’t get that sense from other attendees either.